Earn $2.76 in Rewards credit (276 points) What's This? 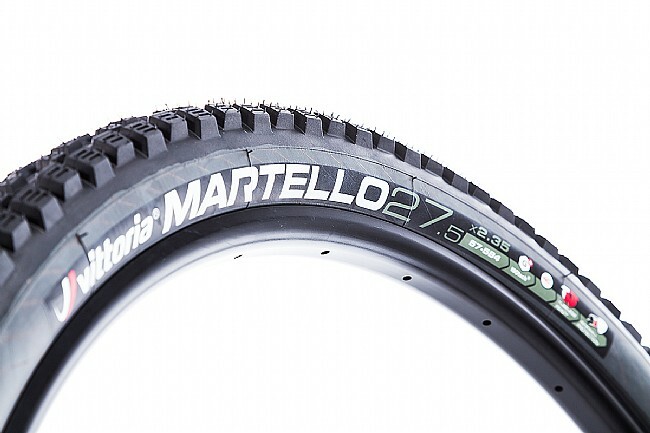 The Martello G+ 27.5" MTB Tire from Vittoria is tubeless ready, designed to be versatile, tough, and adept in all kinds of conditions. Its progressive sipe-width pattern yields grip while the moto-block square knobs offer stability and durability. Vittoria’s proprietary 4C Graphene compound delivers puncture resistance, durability, and reliable grip in wet conditions. Progressive sipe-width pattern yields grip. 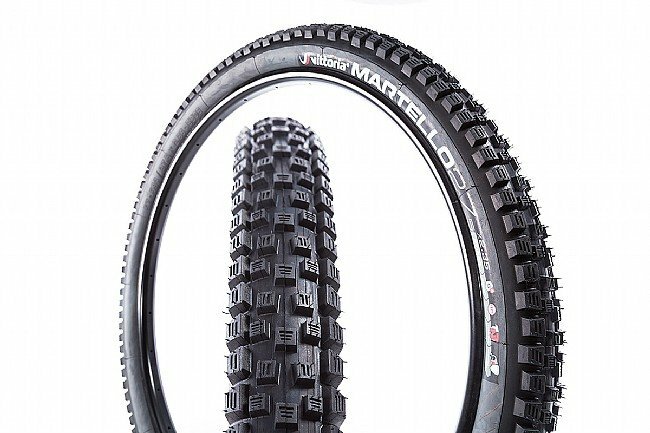 Recommended Use: downhill, enduro, trail.